Pretentious Title: Win the Eli Monpress Omnibus! 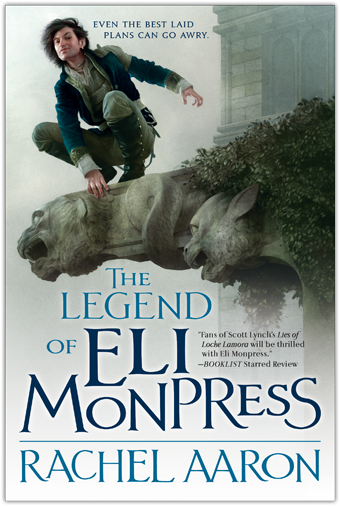 So, Orbit is launching The Legend of Eli Monpress Omnibus this month! Hooray! Isn't it pretty? And it's got three books in it, so it's HUGE! Also, the finish is smoooooth, but the book isn't too heavy, and it smells nice. In short, a very pleasant thing to hold in your hands. It seems kind of absurd this phonebook only costs $10.98 on Amazon ($9.99 for the ebook, that's like $3 per book! ), but the dealz, they are realz! I couldn't be more excited. I think Orbit did such a great job on the packaging for this book. That's why I'm giving some away! 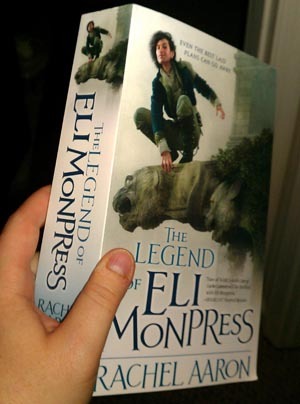 The Eli Monpress Omnibus Giveaway Raffle! To celebrate the release of my omnibus and get the word out, I'm giving away 7 personalized signed copies, one for each day until Tuesday, February 14! Also, at the end of the contest, I'll combine all the entries to pick one grand prize winner who will get a signed omnibus and a $50 Amazon.com gift card to spend on the book of your choice! SO! Here's the deal! If you rated or reviewed The Spirit Thief, The Spirit Rebellion, or The Spirit Eater, I'm asking you to please take a moment to copy it over to my new book on Goodreads and leave a note that you did so in the comments. Every transferred review is an entry to win! 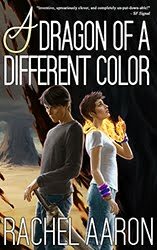 Didn't write a review, don't feel like moving it, or haven't read the books yet? No worries! You can also enter simply by spreading the word of the omnibus's release! Post about Eli on FB, Twitter, your blog, or any other social platform of your choice and then drop me a note to let me know what you did and I'll enter you! This is a raffle, so you can enter this contest multiple times. Every time you spread the word about the omnibus's release or move a review (or write a review, if you're so inclined, but only if you want to. You know how I feel about reviews. They are precious gifts! But if you want to write one, I would be delighted and it would totally count for the contest. ), put it in the comments below with a link. Move a review, post on Twitter, and mention the book on your blog? That's 3 entries! Tell me so and I'll enter your name 3 times. I'll be drawing from the comments on this post every day, including today, so the sooner you enter, the more chances you have to win! You can also keep promoting the book to increase your chances ever further! Winners will be announced the morning of the day after they win, so today's winner will be announced tomorrow morning, etc. The grand prize drawing will be on Tuesday, February 14th at 12:00 PM, east coast US time (EST). After this, entries will be closed and I'll be mailing out a lot of books! This contest to open to everyone in the US, Canada, the UK, and Auz/NZ. Only one entry per moved review/social network (so no posting it a million times on Twitter for a million entries :P). New reviews and moved reviews count as 2 separate entries. Also, you can move reviews/post new reviews for the omnibus on other sites besides Goodreads. Readers who win one of the earlier signed copies are still eligible for the grand prize gift card, but since they already have a book coming to them, I'll pick a new winner to get the extra copy. If you have any questions about the contest, the rules, or the books, please contact me! If you want to read a sample of the book you'll be winning, you can do that here. And please spread the word of the contest around. If I get a lot of people, I'll just give away more books to keep the chances even. http://www.goodreads.com/review/show/274315443 and I posted it on Amazon as well. I don't know how to link my review like Dustin did but I added my review to Goodreads. Happy to do it! Anything that keeps you in the storytelling business! Check, and check. Two more shout-outs for you, Rachel, courtesy of my personal and "Ballad of Allyn-a-Dale" Facebook accounts. Moved reviews for books 1 and 2 to the omnibus, adding a review for book 3, too (because I never wrote one, what??). linkage! Also, if I disappear for a while, I'm hiding from all of my followers who no doubt want to maim me, now. Looking forward to books 4 and 5! I'm very happy to post a review on your Eli books. I stumbled across them at bookstore called Mysterious Galaxy in between work and my house in Los Angeles. I love these books. They're so much fun and very unique. Best of luck. Thanks for the entries everyone! Day 1 winners are going up in just a moment once I feed you all into the prize picking spreadsheet! 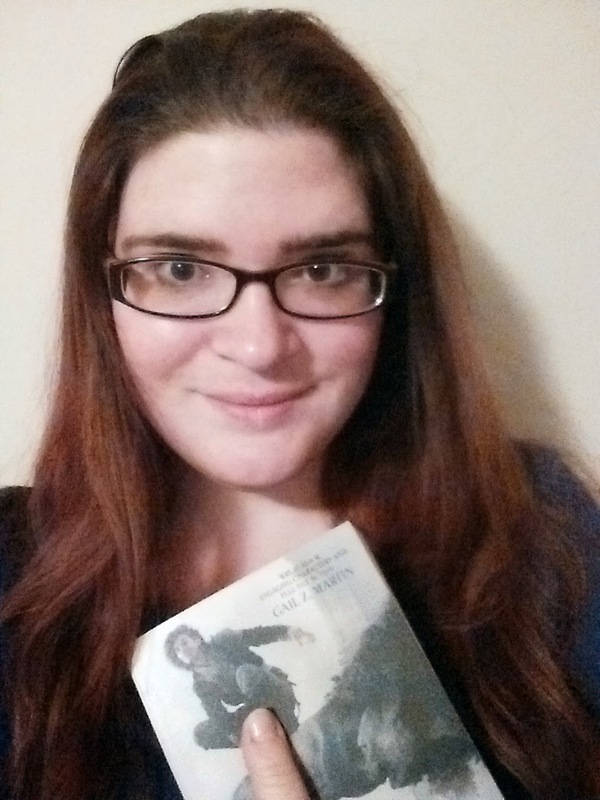 Hi Rachel, the omnibus looks great! Thanks so much for the editing tips you posted the other day. Very helpful. Three shout outs from me on Twitter, Goodreads and Facebook. I love Eli, he is fantastic. I'm also eagerly awaiting more blog posts to improve my writing! FB post! I always love a good read! Loved the series posted my Amazon and blog reviews to goodreads for the omnibus. Also tweeted about the omnibus! Pinned on Pinterest for good measure! Love your books! Can't wait for the next one. I mentioned it on Twitter (@ezzierae) and Facebook (Emily Rae Feyma). I also posted it on twitter not that I have any real followers. I do the following. Didn't want to play the Potter card but the first book at least has that care free feel. It's not fair that book 4 is so far off! yay! so many more people for books! Ok, I'm feeding all your names into my sheet. I'll have the next winner up shortly! Thank you all for entering! Nice, just re-tweeted a post on twitter under the username @baneofkings. Just spread the word on Twitter and my Facebook. Haven't had a chance to read the series yet, but can't wait to! Not sure how to link to the posts though. Hi Rachel! Thanks for offering the contest. I blogged about it to help spread the word. Tweeted about it again today (@ezzierae). thanks for letting me know about the review issue. I had reviews on Amazon so I just did what you said and copied them to goodreads. I have announced the grand and beautiful news to my facebook and twitter peeps! :D! Another tweet today plus I finally got around to adding a review of the omnibus on my Goodreads. Feeding everyone's entries in to pick the next winners! Thanks everyone for entering. Announcement will be up in just a few! Ok, entering the new people in so I can pick the day 5 winner! Will be up shortly! Read the sample and can't wait to read the rest! 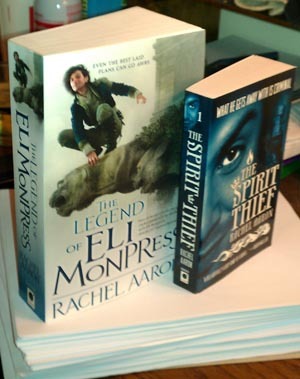 I posted "@Rachel_Aaron, @DRSPodcast guest & THE SPIRIT THIEF author, has 2 days left to win some free books and $50 gift card! thisblogisaploy.blogspot.com/2012/02/win-el…" on Twitter and Facebook. Thanks for the giveaway, Rachel. The book looks great! I'd post a review, but I haven't read them YET. Yay for so many awesome entries!! I'm adding the new ones in and then I'll pick Monday's winner. And don't forget I'm picking today's winner plus the GRAND PRIZE at noon today (Tuesday). Good luck to everyone and watch the blog for results! Mah review, let me show you it! Ok, about to do the final 2 drawings! Keep your eyes peeled!